Marinate meat in favorite meat marinade like lemon pepper salt, greek marinade or just a fajita seasoning. Grill and slice. Saute in large pan with olive oil until softened. Sprinkle with favorite seasonings or just salt and pepper. 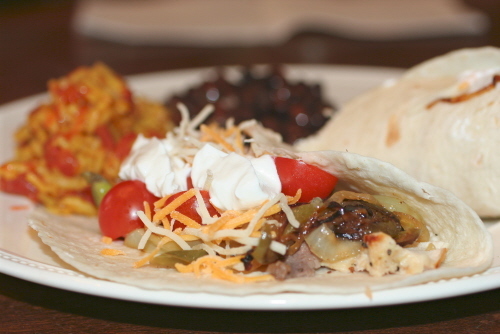 Serve in tortillas and top with some of your favorite toppings like the ones above.